‘Safe, attractive and enjoyable streets’ is our motto. Such an approach holds the key to encouraging everyone to be out and about. 2011 had been declared London’s Year of Walking by Mayor Boris Johnson. Over 100 projects and activities were proposed by groups across the city with the aim of giving lasting effect to this welcome recognition of pedestrians. Pedestrians are, after all, by far the most numerous group of users of our streets (it may be surprising to some of us to know that only about a third of all journeys undertaken by Wandsworth residents are by car). All the more disappointing, therefore, when on 18 February 2011 the Mayor’s office announced he was cancelling this innovative initiative. and the removal of street clutter, including guard rails. These steps to civilize the borough’s streets can reduce the dominance of traffic on the street scene, and provide more space for pedestrians to walk, rest, talk and for children to play. We support Transition Town Tooting’s idea of a new Green Lane linking Garratt Lane in Tooting through the Streatham Cemetery and Springfield Hospital to Wandsworth Common. We are also proposing an extension of Transport for London’s Legible London scheme to our local town centres and nodal transport points across the borough. This scheme already provides parts of Central London with elegant, eye-level signage and maps (with distances and walking times) for people going on foot to shopping streets, parks, museums and other points of local interest. We welcome the Council’s intention to work with TfL to extend the scheme to Tooting in 2011-12, but we want it rolled out in the borough more generally. Making walking easier and more pleasurable will promote exercise and good health. It will help counter the problem of growing obesity rates among our young children. Local businesses will benefit as more people are attracted on to our local shopping streets. Safety and a sense of personal security will improve as a natural consequence of there being more people around. 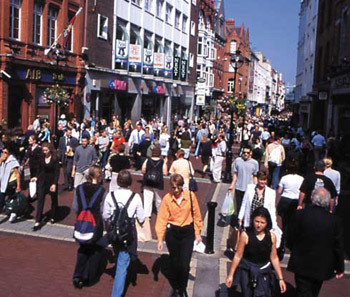 In short, as greater numbers of people walk more, our townscapes will become more enjoyable places to be. WalkIt.com: this easy to use website helps you plan your urban routes on foot in many British cities. Legible London: Transport for London (TfL)’s scheme to encourage short journeys on foot in town centres. Living Streets Walkable Neighbourhoods Campaign: This new national campaign only starts in Spring/Summer 2011. In due course it ought to be directly relevant to our Making Walking Count concerns.